RABAT, 6th April, 2019 (WAM) -- H.H. Sheikh Hamdan bin Zayed Al Nahyan, Ruler's Representative in Al Dhafra Region, has visited the Spring youth camp, 'Abnaa' Al Fakhr' in Rabat, Morocco. The camp is organised by the Martyrs' Families' Affairs Office at the Abu Dhabi Crown Prince's Court. Children and young individuals aged between 10 and 22 years are partaking in the camp, as part of the office's mandate care and support the children and family members of the UAE's martyrs. During the visit, Sheikh Hamdan bin Zayed hailed the care and attention provided by President His Highness Sheikh Khalifa bin Zayed Al Nahyan, His Highness Sheikh Mohammed bin Rashid Al Maktoum, Vice President, Prime Minister and Ruler of Dubai, and His Highness Sheikh Mohamed bin Zayed Al Nahyan, Crown Prince of Abu Dhabi and Deputy Supreme Commander of the UAE Armed Forces, to the families and children of the nation's martyrs. His Highness said that the people of the UAE have long been raised on noble values, high morals, customs and traditions, the most important of which is protecting the homeland and its people while ensuring the safety and security of the community. Sheikh Hamdan met with the youth, expressing his happiness to see them, and affirming his full support to enable the children making them active pillars in the UAE's development journey. 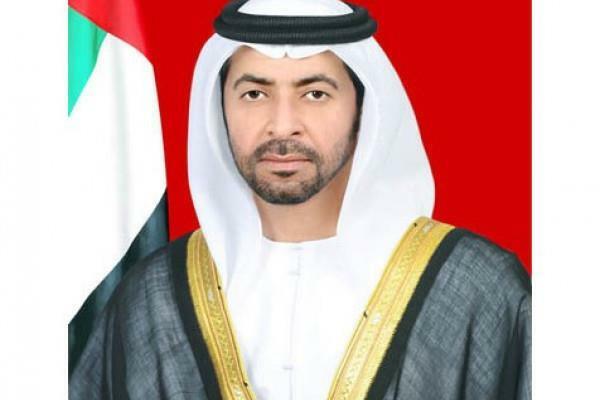 He also praised the efforts of Sheikh Khalifa bin Tahnoun Al Nahyan, Executive Director of the Martyrs' Families' Affairs Office, to ensure that the UAE martyrs' families and children are supported and cared for and that initiatives like the Abnaa' Al Fakhr camp are organised to help develop their skillsets and abilities.